A very common question and VE suggestion we hear is to replace professional/commercial grade TVs with residential grade TVs. At first glance, it saves the Owner quite a bit of money to “just use a TV from The Big Box Store,” but it’s important to realize these changes have some big implications and it’s not necessarily cheaper in the long run. Ask the right questions about your product warranty, and commercial liability insurance – you may be on the hook for more with residential TVs. Check the details, but you may be on the hook for any damage the TV receives while being shipped, wear and tear, or any damage the TV causes down the road. When installing residential TVs in a commercial setting, the residential warranty may not apply. Using residential grade TVs rather than commercial grade TVs changes how we approach the AV control system design. In a small bar or small conference room it may be ok to switch the TV on and off with a remote, but imagine an office building with 30 sets scattered throughout – controls become important, and residential grade TVs don’t offer nearly the options that a commercial grade product does. Even if two products look the same at first glance, they function differently behind the scenes. Commercial displays often have additional features like improved cooling that help with the longevity of the screen under heavier use. A commercial display can be used all day and boasts additional features like improved cooling, or screen wipe, which prevents the display from experiencing some of the problems typical of residential TVs, including burn-in and pixel failure. Commercial TVs are made to be constantly on, residential grade are not. 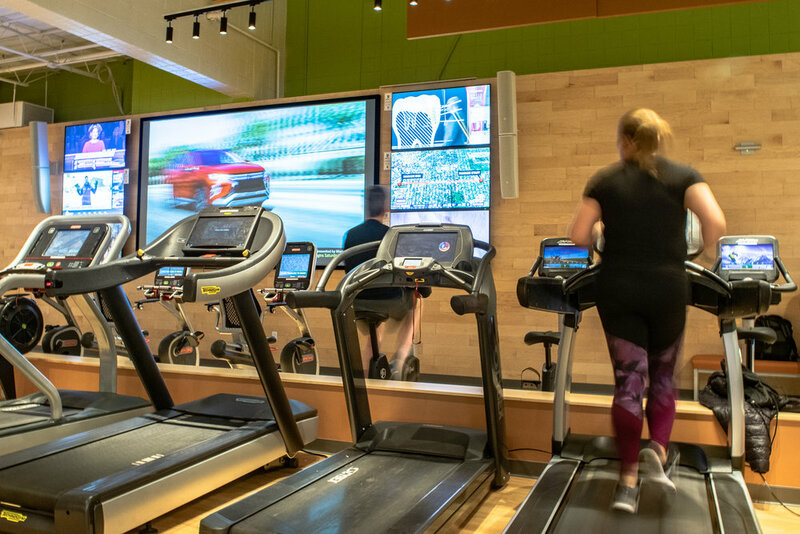 If the screen is going to be on all the time, if the content is static (menu boards or digital signage), or if it needs to be controlled by a central control system, then a commercial display is the best pick; they are built for these functions and will last longer during these uses. In a nutshell - choose the right tool for the job. The design needs should drive the decision for what level of product should be specified, and if you absolutely need to swap out products, really consider the options and implications. If you have any questions, big or small, reach out to Matt Eckstein, Technology Systems Designer.